Last week I told you I would post excerpts of a talk I gave on Mexico City. Well, here’s numero uno for you armchair travelers. As you all know, I am not an historian, an archeologist or anthropologist. 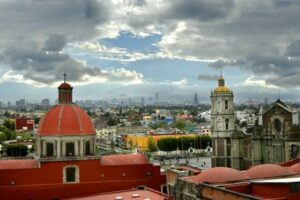 I’m just a traveler who has had lifelong fascination with Mexico. While it’s true, I studied Mexican History and literature in college, I didn’t major in these subjects, so really, I’m just an educated tourist. I just read an interview with a writer who was disputing the time-worn dictum to write “what you know.” Rather, she said, you should write what you wonder about. And that’s pretty much what I did in Palace of the Blue Butterfly. Writing about the city, researching it, traveling there, people watching when I got there, all let me spend thousands of hours in a place I always wondered about, a place I have come to love. 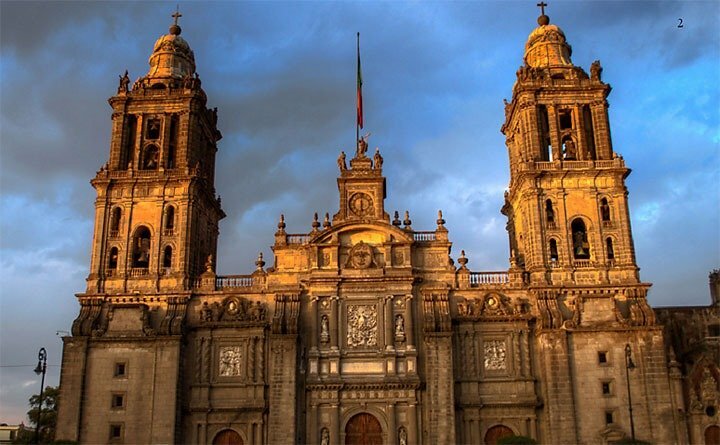 One of the things that always strikes me when I go to Mexico City, a place that has been a seat of power since 1400, is how very complicated its history is, how many layers there are, how, as I overheard someone say in a restaurant — he had obviously just returned from Mexico City — “there are worlds within worlds there”. I later borrowed the line for my book because it’s so true. 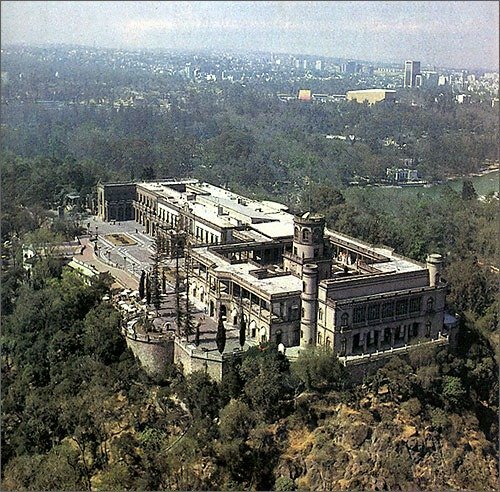 When I gave this presentation— “Mexico City and Its Palaces” — at a salon we have up here in our community a few weeks ago, I thought of the talk as more of a tour than a lecture. I thought of it as “Five Days in Mexico City with Jane.” During this time, I hoped to introduce everybody to some of these “worlds within worlds” through Mexico’s iconic architectural treasures. In the end, I hoped everyone would learn enough to be even more curious about the complex and fascinating history, the cultural, historical and political achievements they represent, and about the lives of the people who live there, our neighbors to the south. 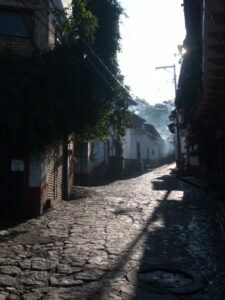 First, just a bit about how I was drawn into a love affair with Mexico. The summer I was seventeen, I was moping around trying to figure out how to survive another hot, boring summer in Charlotte, North Carolina. Charlotte was at that time—before Bank of America came to town and turned it into the Wall Street of the South— a bit like Fresno, California — a trucking and dairy farm hub. In my adolescent angst, I knew I was wasting my life, that there was absolutely NOTHING to do but attend dumb debutante parties and slather myself with Bain de Soleil and iodine while lying in the sun along with the same gaggle of girls. How had such a fate befallen me? So the next thing I knew, we’d loaded up my mother’s 1967 Buick Elektra, armed ourselves with AAA Triptiks, my high-school Spanish dictionary and we were headed down Mexico Way. 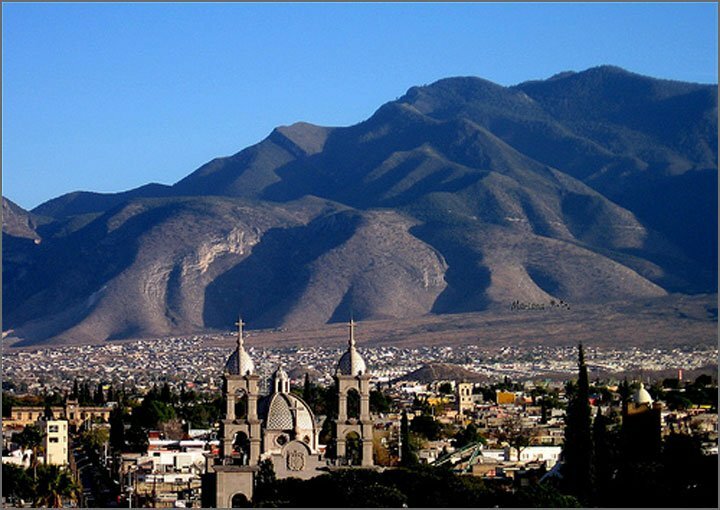 I’d never seen the southwest, California or the Rockies, so four days later when we crossed over from Laredo, Texas — our first destination was the town of Saltillo — I couldn’t believe the grandeur, the huge mountains, the sky. The next day we drove through the Huasteca, a mountainous region that looks like a cross between Switzerland and Palm beach, up one minute into a rain forest, and then down into sunlit river valleys, then back up again into mountains where the orchid-like flowers of the Pata de Mula tree cascaded over the road and waterfalls spilled from the hillsides into green pools. Palace of the Blue Butterfly: All Chapters are Posted! Amazing what I can do with a little free time. Now all I have to do is get this novel formatted for Amazon, and all those who “Have Kindle Will Travel” can download it and be good to go. 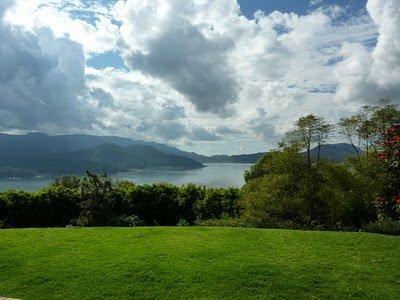 I’m not giving anything away if I tell you that Lili takes a side trip to Valle de Bravo, a charming hillside town built around Lake Avandaro just a couple of hours outside of Mexico City. Of course, you’ll just have to read the book and find out why she goes there and what she finds out when she does, but I thought I’d show you some pretty pictures I pulled from Travel and Leisure just to whet your appetite. And if you do get that far in my novel, you’ll know why I chose the picture on the left instead of others available to me. In the chapter I’m talking about, we will follow Lili as she walks by the lake, heads up to the plaza and wanders the streets looking for a certain address. This picture on the right gives you a feel for her journey. It will be hard to read a romantic suspense novel like Palace of the Blue Butterfly if the only images you have in your mind of Mexico are vast deserts, dusty run-down villages, narco-kingpins and a population completely obsessed and overwhelmed by poverty and drugs. We may want to look in the mirror a moment about the poverty and drugs thing, but that’s a political issue and for someone else’s blog, not mine. I’ll be posting excerpts from the talk I gave on Mexico City from time to time just to dispel some of the antiquated ideas we have of Mexico. 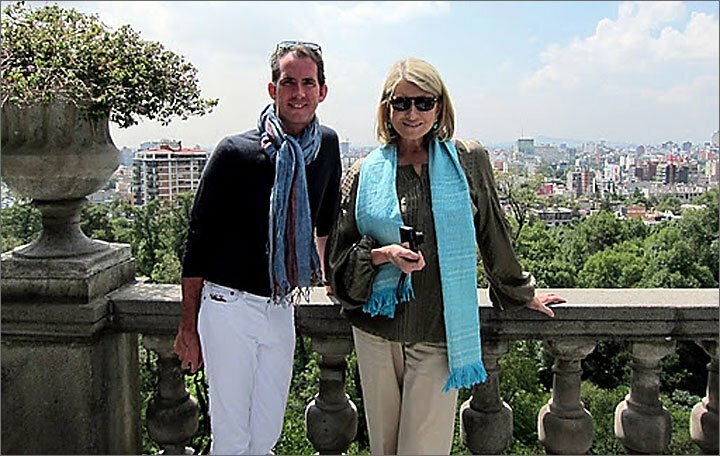 You might be interested to know that Martha Stewart went to Mexico City last summer and had a fabulous time. You can go to her website and see a little You Tube video of her visit, watch her floating in a gaily colored boat at Zochimilco, riding bicycles in Chapultepec Park with Mayor Ebrard, dining at Dulce y Patria, an upscale restaurant in the Polanco neighborhood. She also shopped for rebozos (shawls) at Maggie Galton’s shop in the Polanco. Maggie Galton is a wonderful purveyor of the finest textiles. I mean, why else would Martha shop there? Tags : Martha Stewart, Martha Stewart at Chapultepec Castle, Martha Stewart at Dulce y Patria, Martha Stewart in Mexico, Romantic Suspense, Romantic Suspense Novel, Valle de Bravo | Comments Off on Palace of the Blue Butterfly: All Chapters are Posted! 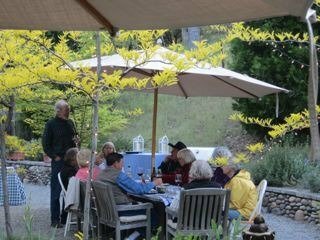 Jesse Morrow Mountain: Guess what a Small Group of . . .
. . . Dedicated People Can Do? 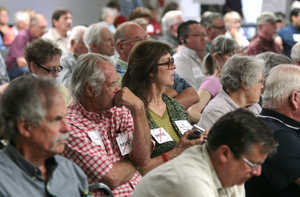 Fresno County planning commissioners Wednesday sided with emotional opponents of rock mining at Jesse Morrow Mountain, surprising many who watched a four-hour debate over the project. In a 4-3 vote, the commission turned thumbs down to the proposal from multinational cement company Cemex, which wants to dig rock from the Sierra foothill and crush it for ready-mix concrete. The company will appeal the decision to the Fresno County Board of Supervisors later this year. 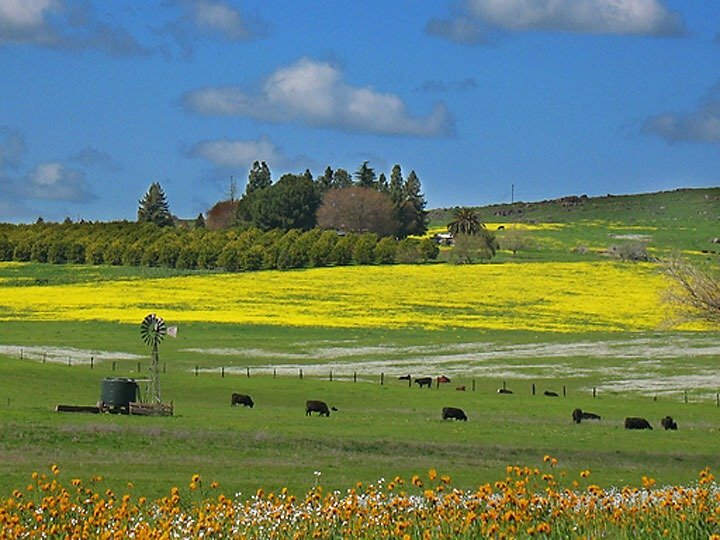 Supervisors could still approve the quarry, which would produce rock for construction over the next half century. There is no date set for the hearing. About 100 stunned opponents of the project cheered and hugged each other over their victory Wednesday. They have been battling the mining proposal for more than a decade. The hearing was a continuation of a February commission meeting on the proposal that left too many questions unanswered, commissioners said. The questions centered on air pollution, traffic, sacred land of American Indians and the view of a well-known foothill on the route to Kings Canyon National Park. But about 30 opponents — area residents and others — passionately voiced their continuing doubts on Wednesday. 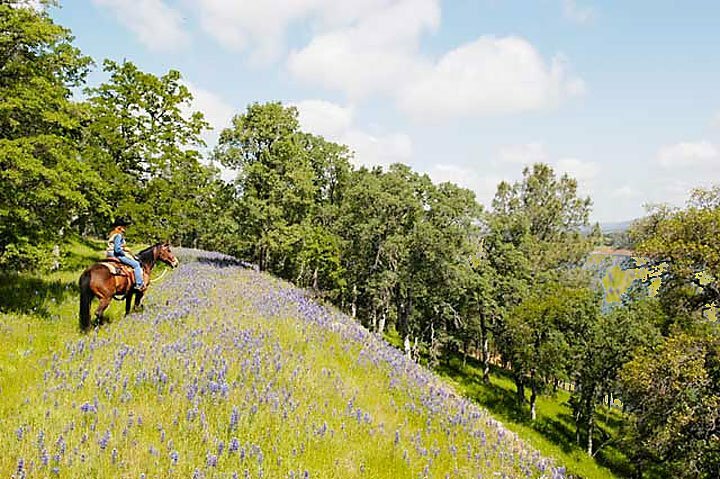 Lawyer Marsha Burch, representing Friends of Jesse Morrow Mountain, made the case that commissioners should consider postponing a vote until the public had a better look at the changes in Cemex’s environmental documents. But commissioners didn’t delay a vote. Commissioner Chris Mendes said there were still too many unresolved issues in his mind, particularly the possible impact on the view. “I can’t support this,” he said before making the motion to reject the Cemex project. Planning commissioners Glenn Niswander, Randy Rocca and Ross Borba agreed. Commissioners Barbara Ferguson, A.J. Yates and Chuck Riojas voted against Mendes’ motion. Tags : | Comments Off on Jesse Morrow Mountain: Guess what a Small Group of . . .
Been a long time since I’ve posted, hasn’t it? So long in fact, I forgot my WordPress password and had to try several combinations before I could log in. 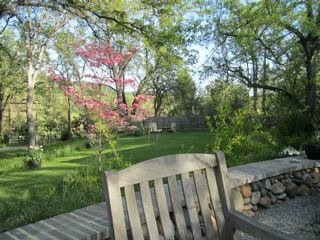 Well, seven weeks ago Dave and I were on the front porch, drinking coffee, not a care in the world. All was bliss. Okay, so I had a few cares. I was worried about the presentation on Mexico City that I was scheduled to give at a “Salon” we hold up here. Actually, let me restate that. I was worried about getting down to the valley to get my hair and nails done before the presentation, and except for that little detail, all was well. I just needed to get myself caffeinated up and run through the presentation a final time. I went inside to pour another cup of coffee, looked out the window and that’s when I saw Dave lying face down in the grass. You have to realize my first thought wasn’t that he was hurt. Noooo. He’d been on a mission to eradicate all gophers from the lawn, and I just assumed he was getting an up close and personal look at a gopher warren. Except that didn’t make sense, not the way he was lying. In what now seems like very slow motion, I finally got the idea that his lying on the grass had nothing to do with the gophers, that something was seriously wrong. Only I didn’t know how wrong or I would have called an ambulance, the helicopter, something. I would not have driven him an hour and fifteen minutes to the emergency room. We were lucky. He had multiple pulmonary emboli and could have died on that drive down the mountain. Anyway, eight days in the cardiovascular ward of the hospital, hooked up to monitors and tubes, puts life in a bit of perspective. In short, it’s all about friends and family, not a whole lot else matters, really. Which is why I held a little barbeque for some of the folks who came to the hospital and helped out during the past few hard weeks. 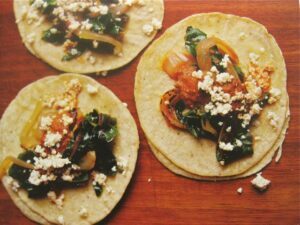 Also, it’s why Dave is getting all his favorite meals, which includes these Swiss Chard Tacos. Fortunately, the meals (you can get two out of this recipe) are super easy. It’s summer here, and if the livin’ ain’t easy now when it’s 90 degrees and my husband almost dropped dead in front of my very eyes, when will it ever be? 1. In a large saute pan with a lid, swirl vegetable oil until hot. Add sliced onion and cook on medium high for 7 minutes, or until golden and a little roasted looking, stirring frequently. 2. Add minced jalapeno or serrano and cook another 3 minutes. 4. Add potatoes and water or broth, cover and cook until potatoes are tender. 10 minutes maybe. 5. Add chopped chard, cover and cook until chard is wilted. Serve with crumbled queso fresco, a drizzle of Mexican crema and hot sauce. Here’s what I do. The first night, the chard mixture is a little soupy, so I serve it with rice and beans. The second night the potatoes seem to have soaked up the juice, and this makes for great tacos. On night #2, I fry corn tortillas in a little vegetable oil and stuff the folded tortillas with the chard mixture. I add crumbled cheese and crema, pass the hot sauce and last night’s leftover beans.